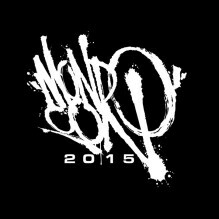 Last year Mondo, the uber popular art division of Alamo Drafthouse threw its first ever convention called Mondocon. At this convention they celebrated movie, food, toys, and music in a variety of ways that brought collectors and fans of all things pop culture together. I took part in the festivities and came away with some cherished items, mostly posters, and couldn’t wait to go back again. For me there are now three days I look forward to, Christmas, my Birthday, and Mondocon, which to me is like Christmas and my birthday wrapped together. Well that day is fast approaching, as this years Con will take place October 3-4th in Austin, Texas. Because of the tremendous success of the previous year the Con will be held in two different locations, The Marchesa Hall & Theater and the near by Holiday Inn. There will be screenings, which include The Goonies and Halloween, in which attendees will receive a poster as well as seeing both movie the way they were meant to be seen. While the screenings and panels are enough reason to come, the real reason is to visit the many artist who have made Mondo who they are, in person, and to pick up the many limited print posters from both popular and obscure films. So clear your calendar if you are in the Austin area for the first weekend in October and come too as good as an event you will find. While there, pick up some rare vinyl, or maybe a limited edition t-shirt, or some beautiful art to show off to your friends. Tickets are available at Mondo-con.com, with single day tickets just $45 while the two-day is $90, with screening tickets being an addition price because of the items you receive for attending the screening. If you decide to attend, just remember to thank me when you see me there, I’ll be amidst the sea of people with an arm full of posters.